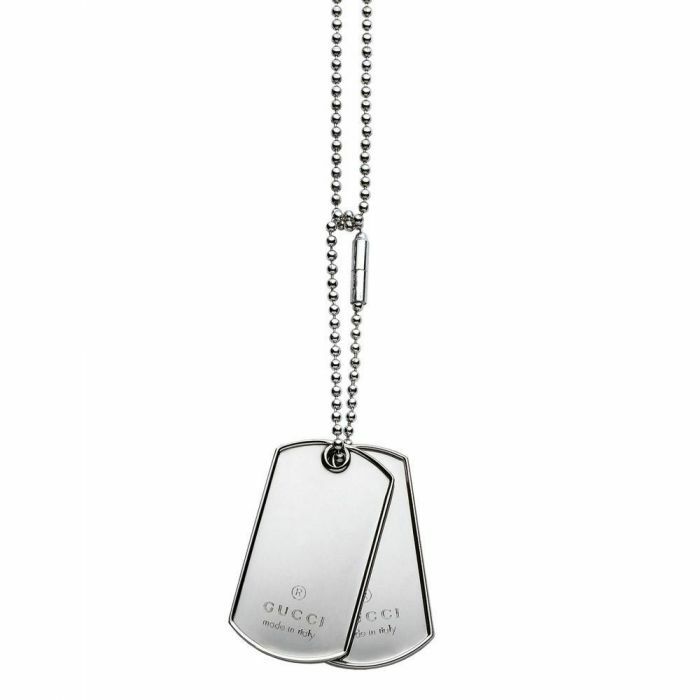 From Gucci, this men's necklace features two logo engraved dog tags that hang from a ball chain. Chain is approximately 24 inches in length, pendants drop approximately 4 inches. Made in Italy.